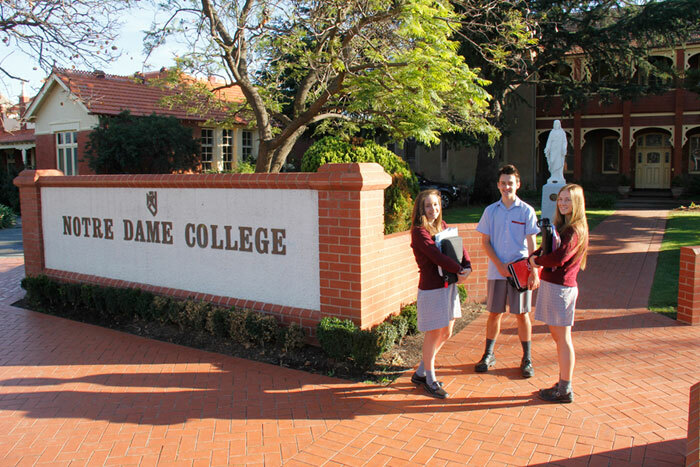 Notre Dame College caters for all families within the Goulburn Valley region who are seeking a Christian education in the Catholic tradition. Here, as in all Catholic schools, there is genuine care and compassion shown for each pupil. Working under the name and patronage of Mary, Notre Dame, we encourage all to see the person of Jesus in the members of the school community. The College has dedicated and passionate staff who work in cooperation with families to support the development of each student in all facets of their schooling. We are committed to providing an inclusive educational provision with a particular emphasis on multiculturalism and for individuals, be they gifted or of special needs. Linking all our religious, scholastic, social, cultural and sporting pursuits is a strong faith in the Risen Jesus and a spirit of trust in His Mother, our patron. We boldly face the future, knowing that Notre Dame will guard and guide us as she has in the past. The Notre Dame College website is best viewed using the Google Chrome browser.